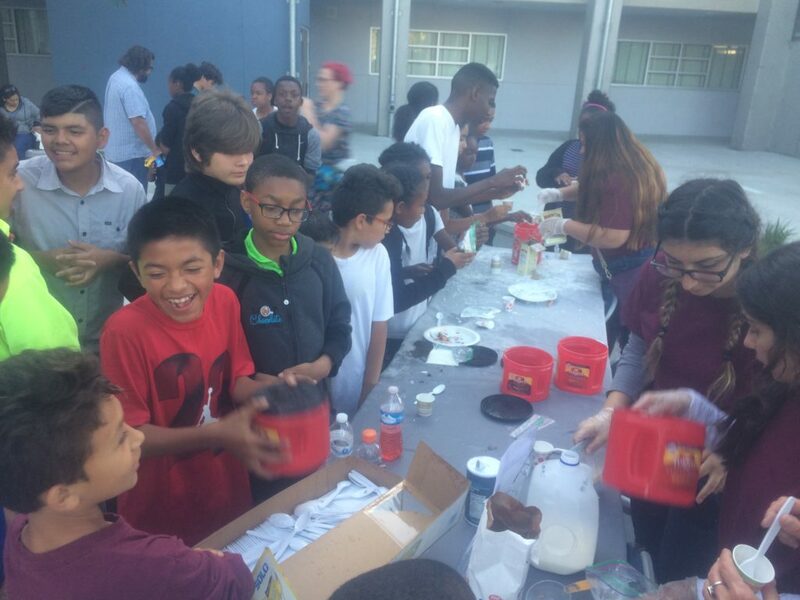 Our third annual STEAM night, hosted by Millennial Tech Middle School and Groundwork EarthLab, was a huge success. Over 300 students, teachers and family members enjoyed a wide-array of interactive, exploratory activities in the areas of Science, Technology, Engineering, Arts, and Math. The MTM choir sang beautifully and the Lincoln High School Drum Line put on an incredible performance of dance rhythms. Students engineered bottle rockets and solar powered cars, planted vegetables to create gardens at home, explored specimens under the microscope, interacted with live marine animals from Scripps Birch Aquarium, and much more. This event was directed by Ms. Hillard, MTM science teacher, and Ms. Proctor, Director of Groundwork EarthLab Education. They would like to thank all of the amazing partners and MTM teachers who donated their time, energy and efforts to create a truly spectacular evening.